FREE Natural Vitality Calm Supplement Sample! You are here: Home / FREEbies / FREE Natural Vitality Calm Supplement Sample! 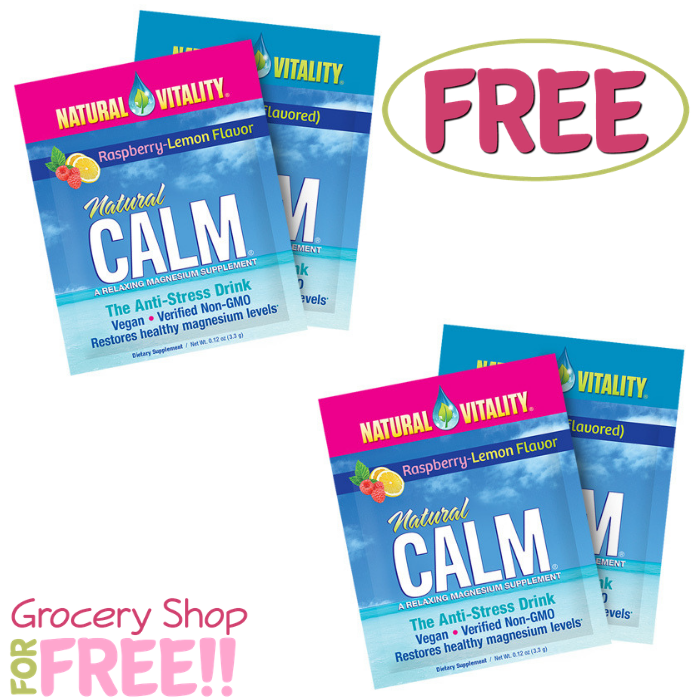 Hurry over here to score a FREE Natural Vitality Calm Supplement Sample! All you need to do is fill out the form and expect it to arrive within 3-5 weeks. This non-GMO drink mix is designed to restore natural magnesium levels in your body to help you feel less stressed. Looking for more FREEbies? Click Here!